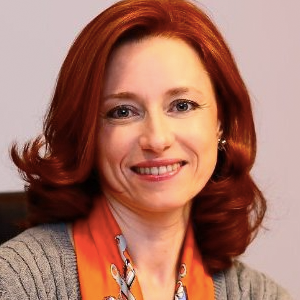 “Creating Real Value” – Elena is fully dedicated to enabling exceptional performance and the growth of outstanding teams and individuals while putting special focus on the sustainability of change achieved through coaching process. As a professional coach, Elena’s expertise helps executives uncover the heart of their issues, develop a new perspective and take action. Coaching for inspiring leadership, breakthrough innovation and impact, cultural transformation or a significant career transition – Elena brings nearly 20 years experience working with senior executives in global companies. Elena is a dynamic consultant, having held a number of senior positions in Leadership Development, Training and Project Management. For the past ten years she’s been working with leadership teams to improve their effectiveness, initiate and manage organisaitonal change and create a performance culture. Elena works with CEOs and senior leaders to sharpen their vision, clarify new mandates and engage the hearts and minds of people to change and grow businesses. Clients value her cross-disciplinary creative approach, strong analytic skills, focus on results and the ability to connect with people from diverse backgrounds and cultures. She has worked among others with Roche Pharmaceuticals, Swiss Reinsurance Company and Swiss Re Corporate Solutions. Originally from Russia, Elena has been living and working from Switzerland for the past 20 years. She holds a Master of Science degree from the University of London and a Master of Arts from Moscow State Pedagogical University.